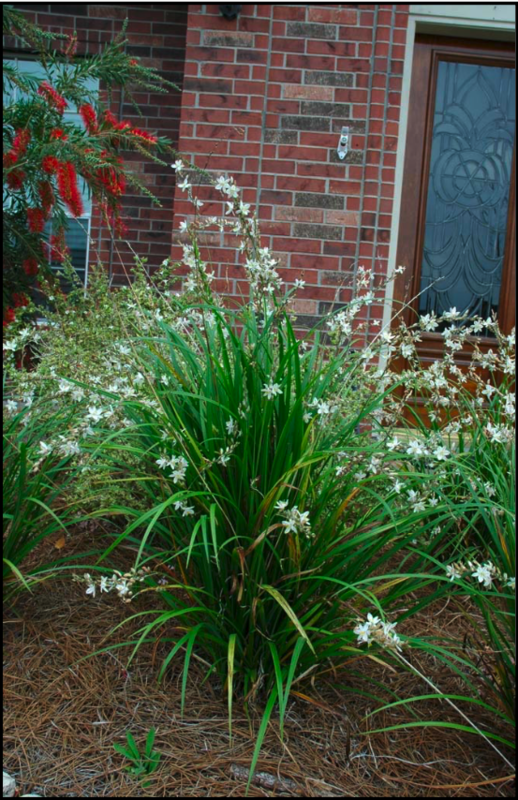 An evergreen grass-like lily that forms clumps of 12″-14″ slender, slightly arching foliage & produces delicate looking 18″-24″ stems covered with small white star shaped flowers almost all year round! It grows in full sun or light shade. Moist, but well drained beds.